Complimentary event parking for the Big Data & Business Analytics Summit is available in Parking Structure #1, Please use Gate #3 to enter. Please tell attendant you are with the big data event. Click here to download a printable campus map of Wayne State’s main campus. After parking, walk across Palmer toward the center of Campus via Gullen Mall. 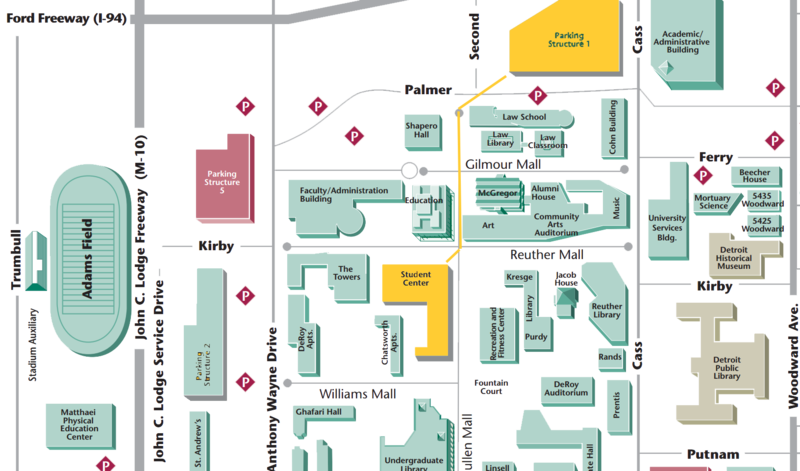 The Registration Desk is in the hallway on the 2nd Floor of the Student Center Building, located near the College of Education and fitness center (see map above). You will see direction signs as well as volunteers giving guidance.